Marilyn Cornwell Blog: Why is a Computer so Smart? Mother's Day weekend saw a worldwide online extortion attack in somewhere between 74 and 150 countries. Included are government organizations such as NHS in Britain. It is called 'ransomware' in which people are locked out of their files and presented with a demand to pay hackers. What a story of intrigue that involves the US National Security Authority code known as "Eternal Blue" which made its way from a hacking organization called Shadow Brokers to a separate crime gang. Demands have ranged from $US300 to $US600. The campaign was spreading five million emails per hour. The malware's name is WCry. In Spain, major firms had to shut down computers using megaphone announcements. Even Russia was hit by a virus attack. Experts believe the timing is related to the April 14 attack by the US on Syria with a message from the Shadow Brokers that they voted for Trump and are losing faith in him. We have two lake views today - the first from Grimsby's Nelles Beach. 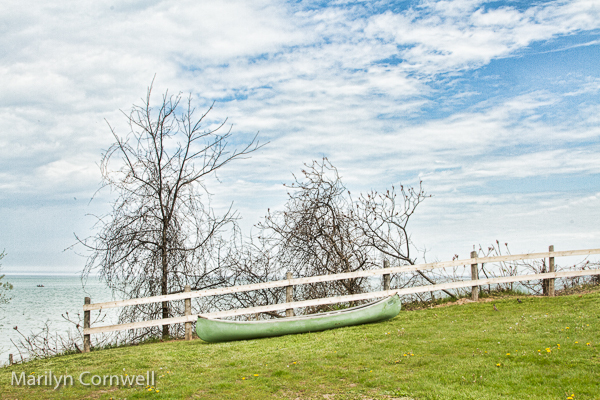 This canoe up on the shore just seemed like one of those absurd scenes. There's a boat launch access at Nelles Beach, which can explain the canoe sitting there. There is no beautiful sandy beach to stroll along this year with the high lake levels. 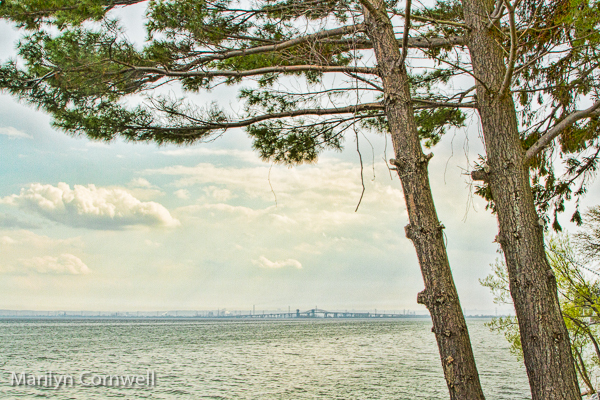 The next one is from a lakefront home in Burlington, showing its beautiful view across the bay to the Burlington Bridge.